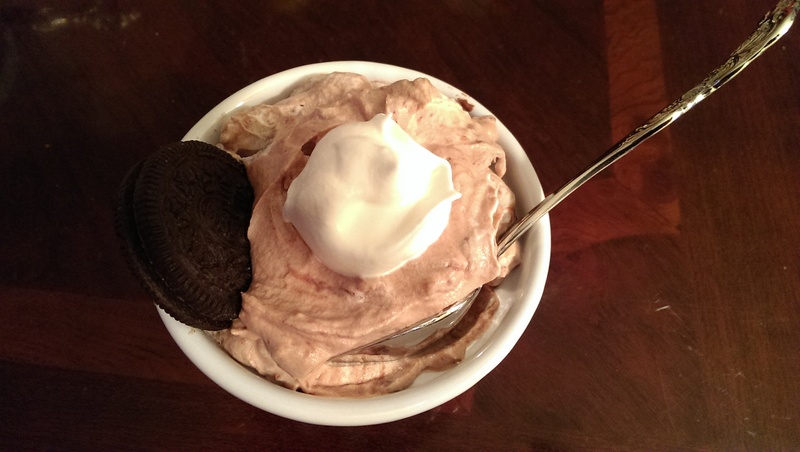 Now, the recipe calls for frozen whipped topping…yeah, SO not happening!!! 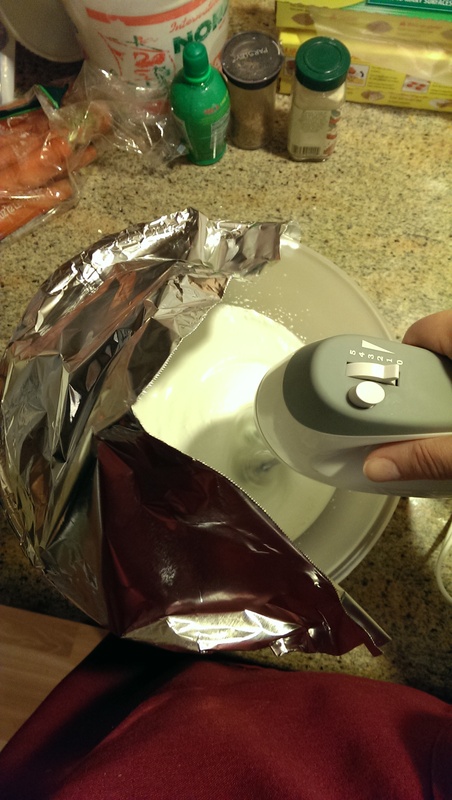 I made my own whipped cream, but have always had trouble with using a mixer in this bowl – it tends to spatter the whole kitchen no matter how careful and absolutely-upright I keep the mixer. Kitchen hack was clearly called for!! I’ve tried making a half-lid from Saran Wrap before (disastrous results – don’t ask! ), but I thought the idea was still good. So I ripped off a piece of aluminium foil and made a shield. Worked perfectly. Cream was whipped up in no time, I could move the mixer as necessary, and no spatter! !